Knowing you can break out into a bout of eczema at any point can really keep you distracted and worried. No matter how bad your eczema is, there are some things you can do to take control of your skin and minimise the frequency and severity of your flare-ups, leaving you free to get back on top of your day. As you’ll know, eczema is triggered by irritants, such as allergens, extreme temperatures or friction. There are some common triggers, but everyone is different. Becoming an expert in what causes your eczema outbreaks lets you learn what to avoid, so you can feel confident and in control of your skin. Find this out simply by keeping a close eye on what enters your environment immediately before an outbreak. Just after your eczema flares up, do your best Sherlock impersonation and deduce the cause from what changed in your environment just before it happened. Important things to be aware of are new clothes, and new hygiene products like detergents, soaps and deodorants. If you improve your skin’s natural resilience to eczema, you can feel more confident that you want get a sudden outbreak. As well as avoiding direct triggers, there are some indirect factors you can also exert control over in order to help form a base-layer of resistance. Firstly, staying well hydrated is always good skin advice, but it is especially helpful with eczema, helping fend off the dry itchy skin you can’t help but scratch. Working on avoiding stress is also known to help reduce eczema, so staying calm and cool will add to that base-layer of protection. You can also support your skin’s natural barriers, reducing the effect irritants have when they do come into contact with you. 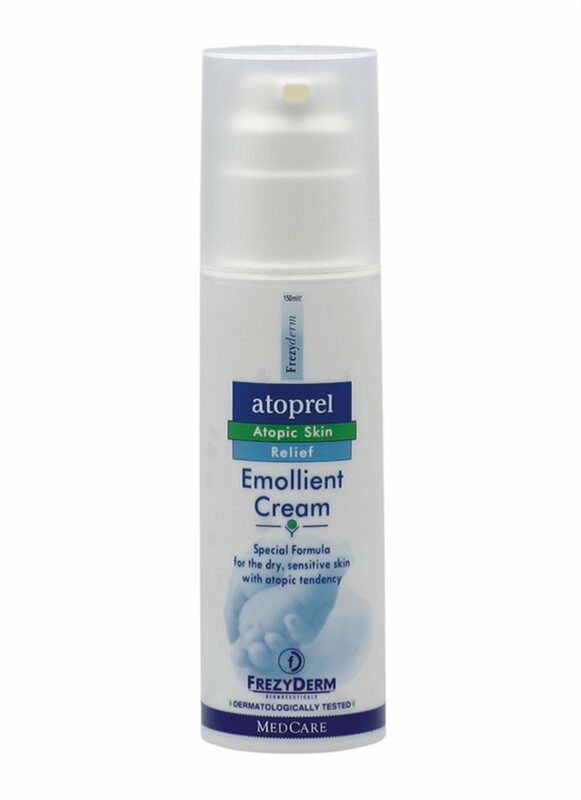 Our Atoprel Emollient Cream contains a biomimetic phytosterol complex that restores the skin’s hydrolipid film. This film is a barrier to irritants, so maintaining it will help you feel confident that your skin will stay clear and healthy all day long. It’s always good to know that if you do have flare-up, you are well equipped to respond quickly. 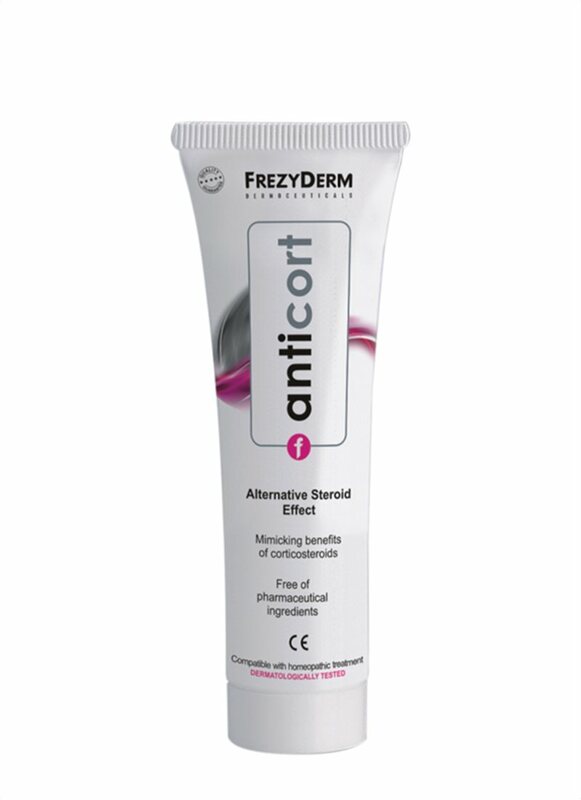 Our Anticort Cream is an amazing alternative to steroid cream, with no adverse effects from prolonged use. It reduces irritation, fights redness and restores the skin’s natural barriers to irritants. Just apply some to affected areas whenever your eczema is triggered, and it will help soothe, clear and prevent future episodes. I’ve heard good things about your products, but never heard of you or tried your products myself. I suffer with eczema and wondered if you have any samples that I could try first please. I also try to use products for sensitive skin because of my eczema. Hi Alana, please ping your request to info@frezyderm.co.uk we’re pretty confident you’ll love our products! Would love anything that would sooth my eczema. Haven’t found anything to date. And most cream is too expensive. do any eczema treatments go on the face? I’d like to try a sample before buying as my skin is pretty sensitive. I also have blemished and rosacea skin.